This week, Damon and Sother are joined in studio by Lauren Myerscough, co-founder of Cocktail & Sons. 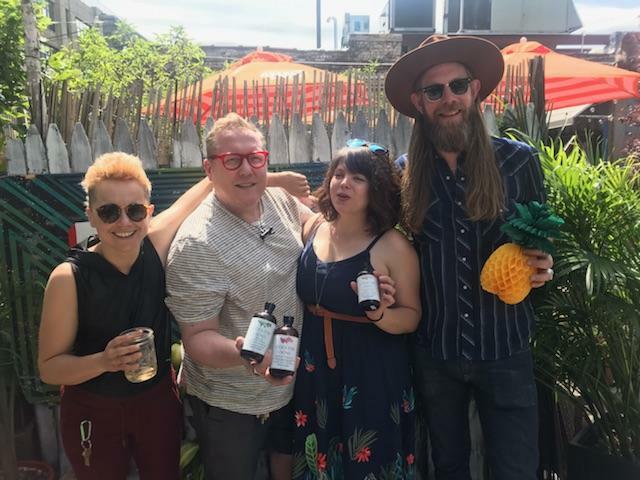 The company has a line of all-natural hand-crafted syrups, cordials, and tea concentrates for a variety of bars and restaurants in New York, New Orleans, Las Vegas, and more! Also joining them is Valerie Franco, satellite regular at Amor y Amargo and drummer extraordinaire, who appeared on Late Night with Seth Meyers last night (and will be again in the near future)!